2 FREE Quest Protein Powder Sample Packs! You are here: Home / FREEbies / 2 FREE Quest Protein Powder Sample Packs! 2 FREE Quest Protein Packs! 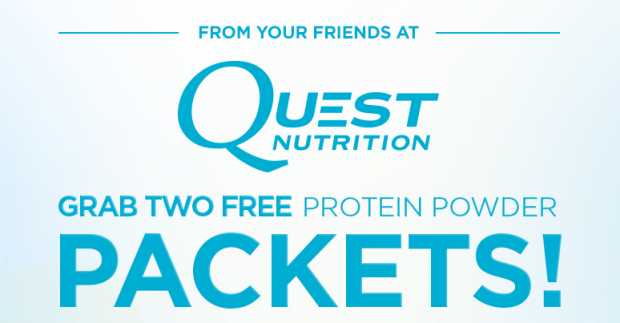 Get 2 FREE Quest Protein Powder Sample Packs! Just fill in and submit the online form to receive your FREE samples!